Dogs That Bite And Fight – Out Now! The problem of dogs biting people and fighting other dogs is getting worse. Every year the NHS dog bite figures increase, court cases for dangerous dogs are at an all-time high, the government is still failing to tackle the issue of “status dogs”, postal and other delivery workers and assistance dog users are demanding protection, behaviourists’ case-loads are full of biters and fighters. Whatever happened to man’s best friend? No sensible person wants their dog to bite them or anybody else, or to fight with other dogs, so why is it happening on an unprecedented scale? David Ryan was a police dog handler and instructor for twenty-six years. He cut his teeth on dogs that bite and fight, teaching them how to moderate and direct aggression proportionately. He learned the art of conducting the aggression in a dog like a musical instrument, lifting, lowering and directing it under control and on cue. In his time David was bitten over fifty thousand times, usually on the intended padding, which started off as carpet remnants and old copies of Police Review and eventually evolved into purpose-made sleeves with integral bite-bar; he knows what both ends of the problem feel like. David qualified with distinction through the UK’s first specialist postgraduate diploma in Companion Animal Behaviour Counselling at Southampton University, and his hands-on up-close manipulation of canine aggression was a useful grounding when he transferred his skills to dealing with pet dogs that bite and fight as one of the UK’s leading canine behaviourists. 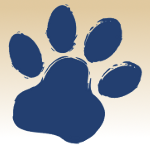 As a legal expert witness, David assesses the danger posed to the public from individual pit bull terriers (a UK prohibited breed) and other types of allegedly dangerous dogs, saving many treasured pets from compulsory destruction orders. 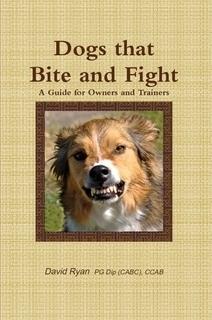 If you are thinking of buying a puppy or adopting a rescue dog, if you have a dog that has started biting or fighting, or if you would just like to further your knowledge of dog behaviour and training, Dogs that Bite and Fight provides a complete understanding of why pet dogs become biters and fighters, how to prevent it and how to change the behaviour, including training methods that owners can use with their own pets. There is no need for man’s best friend to also be our worst enemy.